Other strengths? Well, I, I... dunno if I got any other strength. Besides I have always laughed at eventing for I think it is just a lazy but convoluted way for dealing with programming. Eventing being lazy? You must use events within maps for virtually anything. Events account for NPCs in the maps, teleport and item acquisition, and much more. Eventing is the basis for many systems. Hell, even when I was making my own maps for the original DOOM, I placed 'events' on the map, those being keys to unlock doors or ammunition and weapons to use. Eventing is the cornerstone of the system. 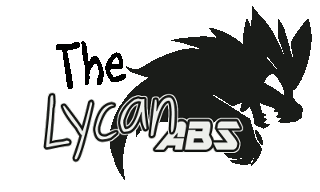 Meanwhile, more work has been accomplished for the next version of the Lycan ABS. I've mentioned the Stance system before, the option to make a form of 'Delayed Skill' system that appears in various sideview systems that will become a part of mine. Until now, the system did cause a delay for 'X' amount of time, but the character was basically just standing there doing nothing. That's rather... boring. Now, I made a small breakthrough where the player now performs a single animation over and over and over... the 'Stance' pose... until the actual attack is performed! It is clumsy, but functional. Still, this is a stepping stone until the stance animation system is complete. Enemies are still made with events. Concerning my plot, I can't tell you a thing. It's not like it's a secret, the truth is that I still have no clue on what I should include, what characters should be the leads. You see, Aluxes alias Alexis alias Alex is well known for being an idiot according to many RMXP enthusiasts and even its old users. So choosing the right protagonist is quite hard indeed. Now that you mention it, rpgmakers do seem to portray Aluxes as... not exactly the sharpest sword in the inventory, so to speak. Although greater in size, they equal to the same period of time. You must enter a 3 digit code on the door to solve it. My question: is this clue enough to solve the puzzle or should I include another tip? 365. There are 12 months and 52 weeks in a year. So how many days does a year have? Okay, I'm watching GOTHAM right now. I think I just discovered the forum's own Edward Nygma. .... might wanna leave another clue elsewhere. As towards Aluxes, Alex, Alexander the Wimp, whatever. One of the earliest RPGMaker games I saw (for RM2K) was called "The Most Stoopidest Game Evah - Re-Duh! ", and featured our lame hero on a mission to get his house back after getting out of jail (for accidentally running over a cow with his lawnmower). And ... wanna try making an RPG game with this engine and no events? *shrugs* Your move. Thought so. Guess it is a little too difficult to decipher based on that tip alone. Perhaps I'll put another sign that reads something like "MM->WW->??" or maybe "M__TH->__EK->__Y" to clue the players into figuring out the answers. Also... Man, somebody else actually remembers TMSGE! This is one of the games that got me into the RPG making scene back then. It has a very special place in my heart. If all else fails, consider allowing the player to go another route. By that, I mean a way to bypass the riddle by going through the corridor of eternal peril where they must fight 50 individual super-ducks, or must take the ghost pepper challenge or something. I'd rather face 50 super-ducks than the ghost pepper. Yeah, might try to scrounge around and find it. I already have some old RM2K games in the Completed Projects board ya know. Woof Woof! The Lycan 'Stance' system is making headway. Not only does the Lycan system permit one to set a basic 'Stance' option (globally used if anyone is chanting or whatever), but can have a specifically defined Stance for any action whatsoever. If your wizard uses one stance pose where he waves his arms for one spell, and throws a few rude gestures when casting another spell, you can define a stance for each! Totally functional for Player and Enemies. And all the while, the characters performing the stance animations loop and repeat! Meanwhile, the stances are only performed if you have a stance 'time-limit' above 0(zero). Anything else would suggest, that the combatant is not wasting time and is immediately attacking! This works very simply. And if you choose to just not add ANY delay options for an attack.... *BOOM! * The attacks go off as fast as the GENERAL settings permit. What do I mean? Well, the general settings section has the MASH time (how fast you can react with the keyboard). Each weapon can have its own 'MASH' delay because some weapons take longer to swing. If you don't set a delay option for a weapon at all, it falls on default settings in the General settings section. All this is functional for Player and Enemies. Companions??? Well, not messing with them yet. The main protagonists first, right? OH, and after this.... an additional option is planned. If some supreme sorceress is casting a massive spell, shoot her! Even if it doesn't kill her, she'll stop casting and will have to start over! Yep, a casting interrupt option. Just happy I can use my PC again, that is all move along! I just re-learned how to make those popups that usually appear when something goes wrong with the game, in RPG Maker XP, and the project I tested this re-learned coding still ran, so I didn't screw anything up.... after decrypting and looking at the scripts of an encrypted RPGXP game I somehow never finished by then in my early teenaged years, which is never going to see any sort of light of day. And no, I'm not going to release it as it was horrible. RIP my early teenaged years. Kind of funny since these would pop up only once before the Title Screen starts. I just want to take a moment and say how very thankfull I am that we are still here. Every time I go to work on my game at the moment, I become sad over the loss all the things I've come across and collected over the years. So many scripts, recources, creators, demos, comunites and names vanishing slowly. Feels like 80% of the time I try to look something up it is gone. And yet, Save-Point is true to it's name and still here.